LED Lights Too Bright For Your Space? Help Reduce the Glare.. LED lights are becoming more popular as folks are realizing the importance of long term green lighting solutions. LED’s aren’t the cheapest lights out their, but they put out A LOT of light. Actually for many indoor spaces, the “blue light” emitted from LED lighting is too much. Someone Turn Off That Light! Beyond the little annoyances that LED’s cause us throughout the day, and sometimes at night, they are the most energy efficient choice. When it comes to output, lifetime and energy consumption, these puppies can’t be beat. It’s for this reason that many homes and offices are using the LED light bulbs to light their rooms. The problem however, is that the light is one directional and can cause a glare. They are ideal for things like flash lights and places where you need spotlights, but for rooms they can be a bit harsh. 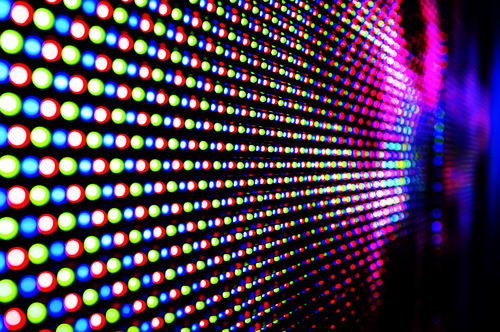 We’re not surprised at the volume of attention the modern LED has acquired, but we’re equally unsurprised at the amount of complaints surfacing from improper use. LED lighting in rooms can turn into more of a nuisance than fluorescent’s or CFL’s, especially if left uncovered. Using a small LED bulb to light a small room is a mistake for a few reasons: the glare, inadequate distribution and color temperature. LED’s tend to be very cool and give off a “blueish” glow that can be distracting and unnatural. Rooms with superb lighting, are those that have color rendering and temperatures closest to natural sunlight. There is no single bulb that produces anything comparable to natural sunlight by itself however there are plastic covers that can help. Plastic LED covers will help distribute the light evenly over a space, much like the plastic covers used to filter and distribute fluorescent lighting. This will ultimately help with the distribution of your LED lighting in most spaces ideally, kitchens, studies, offices and places with lower ceilings. Contact us or view our plastic light cover products!